around. A landmark, bestselling business book and a fascinating behind-the-scenes history of the creation of Danny's most famous eating establishments, Setting the Table is a treasure trove of valuable, innovative insights applicable to any business or organization. 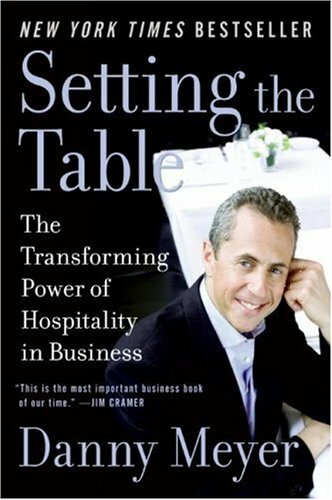 Considered by the New York Times to be "the greatest restaurateur Manhattan has ever seen," Danny Meyer is CEO of the Union Square Hospitality Group. His restaurants have won an unprecedented twenty-one James Beard Awards. His book, Setting the Table , was a New York Times bestseller. Who Ever Wrote the Rule...?